Coffee is NOT fattening. A cup of black coffee contains 0 to 5 calories, no carbohydrates, no fat, and no sugar. In fact, caffeine has been shown to increase metabolism and improve exercise performance, which means it can accelerate weight loss. IMPORTANT: Although coffee itself is not fattening, the cream and sugar that is often added to coffee can make it a fattening drink. Thus, a cup of coffee with two teaspoons of sugar and half a cup of cream is definitely fattening! 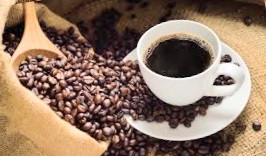 Try to drink black coffee if you can, or at least keep in mind to minimize the additives to your drinks. The notion that bananas are fattening stems from the fruit’s sugar content. A medium-sized banana contains about 105 calories and 14 grams of sugar. Before hearing these numbers and deciding to avoid bananas, you should know that a medium-sized banana also contains 3.1 grams of dietary fiber, which is very important for promoting digestive health and weight loss. These fruits are also sources of potassium, magnesium, and beneficial vitamins. At UTHFA, we encourage consumption of bananas for weight loss, but try to limit the quantity to one serving per day. IMPORTANT: Yellow (ripe) bananas contain more sugar than green (unripe) bananas. In addition to containing less sugar, green bananas are higher in starches and resistant starches, which act like soluble fiber and have beneficial health effects such as weight loss, fat burning, and reduced blood sugar levels. Thus, try to opt for green (unripe) bananas over yellow (ripe) bananas. Watermelon is over 92% water, which is why one cup of watermelon has 30 calories and 9 grams of sugar. Watermelon is NOT fattening, but you must keep your portion size small. A full watermelon contains over 1300 calories and about 300g of sugar, so you can see how eating a full melon could have a detrimental effect on your diet! IMPORTANT: Watermelon can help you lose weight. It is low in calories and has a lot of water. Water helps boost metabolism and promotes weight loss. It is also very sweet and can satisfy a sweet tooth while preventing consumption of high-calorie desserts.